Entrepreneur and author Matthew Paulson has characterized entrepreneurship as an endurance sport. It is true that sometimes if you see you are on the wrong track, the best course of action is to abandon the original plan and start in a new direction. However more times than not, just sticking with it can often make all the difference between success and failure, winning and losing. Famed cinematic genius Walt Disney is quoted as saying, "The difference between winning and losing is most often ...not quitting." In another famous quote referring to the opinions of pessimistic critics and detractors he said, "It's kind of fun to do the impossible." Disney's most profound idea, the notion of feature-length animated films when nothing but shorts had ever been done before, was widely criticized as foolish and destined for failure. He persisted, though, and we all know how that turned out. Disney's endurance in the face of blanket rejection made the difference. By comparison, what a sterile and vacuous world we would have had if he would've listened to his detractors and bailed out on his plans. Long before he was laughed at by Hollywood studios, he learned the value of endurance from other so-called failures that might have derailed an otherwise imaginative career. Early on he was fired from a newspaper for not having any original ideas and for lacking imagination, of all things. His first feature-length animation was Snow White and the Seven Dwarfs, and it became the most successful film of 1938, earning the equivalent of 134 million in today's dollars. That's not too shabby for someone who lacks imagination. The world is far better off because he had the endurance to see the project through. Distinguished writer Malcolm Gladwell outlined a theory that it takes 10,000 hours of work on a business to really know what you are doing, to make it a success. That is five years of full-time work--in other words, endurance. David Weber and Kenny Lao hatched an idea for a food bar built around dumplings as a primary menu item. Their idea actually placed second in a New York University Stern School of Business competition, after which they launched the brick-and-mortar Rickshaw Dumpling. Becoming a bit too ambitious, they launched a second store and stretched their resources far too thin. Nearing bankruptcy, they abandoned the second site and started a mobile food truck, instead. This proved quite successful and saved their business, becoming a well-known icon in New York City. Their endurance--as well as their ingenuity--provided them the vehicle they needed to succeed. It is said of mountain climbers that they do what they do simply because the mountain is there. 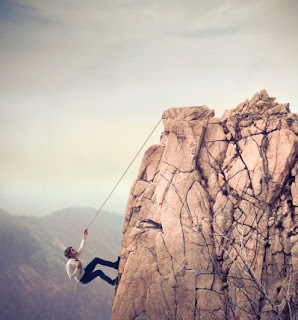 But, without endurance there would be no successful climb. In business, the best formula for success involves the endurance of a mountain climber--just because your goals and objectives "are there." Endurance can and frequently does make all the difference.